Got started with a good briefing the day before the real thing. The guide specially came to our hotel, because we arrived to lately train. 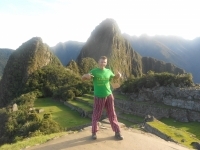 I greatly enjoyed doing the Salkantay trek with Salkantay.org. 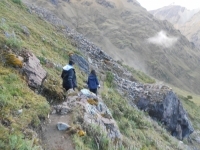 The hiking was definitely challenging, but the guides, cooks, and support staff were very helpful. I definitely appreciated that the cooking and camp setup were handled by the staff. This trek was very rewarding and well run. The first two days are the most difficult in terms of physical challenge, as you begin at altitude of nearly 4000m and continue to climb to the highest point of the trip, the Salkantay pass at about 4700m. 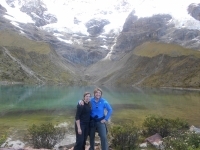 I had a great trip on the Salkantay Trek. I felt both day one and two were challenging. Definitely acclimate to the altitude or take medication before the trek! The trek overall was great. The right level of challenging. They also used the first day to let you acclimate to hiking at altitude and gave a hard uphill hike that made the second day seem less difficult than it might have been otherwise. 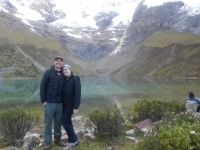 The Salkantay trek was my first experience camping and trekking and it was a real test. The guide was funny and very accommodating making the experience more enjoyable. This was my first time camping so it was an interesting trip to say the least. The days were quite full on and it was more difficult than I was expecting. That said, it was a great experience and all in all the trip taught me to appreciate the basic necessities in life a lot more. The trip began the night before with an informative meeting where we went over everything that would happen during our hike. The two guides went over everything that we would need to bring and how to prepare. A cleansing adventure - for the mind, body, soul, and spirit. The guides and staff were friendly, caring, and informative. 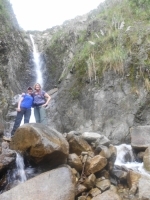 The trip started with a strenuous trek that pushed limits and continued with a walk through the jungle under a warm rain. The Sumaq hotel is first class in every way. A welcome reception and resting place. This trek is quite an adventure! Over the 4 days you will experience chilly mountain passes and lush rain forests. You will want to stop every couple of moments to photograph the breathtaking sights. It was a challenging, but rewarding experience that I am definitely glad I signed up for. 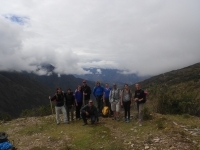 The Salkantay Trek was an exciting and challenging adventure. Richard and Hilton were excellent guides and helped us along the route. The rain didn't stop us from having a good time. The landscape changed vastly from start to finish and this kept us interested through every twist and turn. 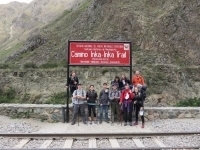 The Inca Trail was one of the most challenging, but satisfying hikes I have done in my life. Had a great time! My guide Carlos (Carlitos) was so much fun, always in a great mood and just a pleasure to be around!